He began his career as a Research Chemical Engineer for Mobil Oil Research in 1955, and advanced to Manager of Long-Range Analysis by 1969. From 1971-1977, he was the Allan P. Colburn Professor of Chemical Engineering at the University of Delaware. He joined MIT in 1977 where he served as Department Head of Chemical Engineering until 1988, and was the Warren K. Lewis Professor from 1977-1991. Between 1991 and 2002, he was Dean of Engineering and Applied Science at Princeton University. From 1991-2010, he was also Pomeroy and Betty Perry Smith Professor of Chemical Engineering at Princeton University. He is now Emeritus Professor. Dr. Wei has published more than 130 research papers on chemical kinetics, catalysis, reaction engineering, and cancer chemotherapy. He is the author of many books, including “Product Engineering” with Oxford University Press in 2007, and “Great Inventions that Changed the World” with John Wiley in 2012. He served as the president of the American Institute of Chemical Engineers in 1988. 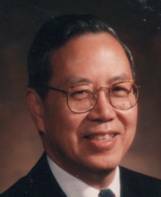 Among Dr. Wei’s honors are: Member of the National Academy of Engineering, 1978; Member of American Academy of Arts and Sciences, 1982; Member of Academia Sinica, 1982.